Michael King is the perfect mix of a technologist, businessman, artist, and creative. 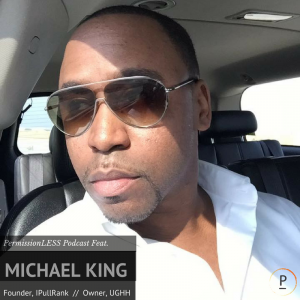 He started in hip hop, transitioned into SEO, and now runs a digital marketing agency, IPullRank. He’s also the managing director of an eCommerce brand that brings everything full circle, which we’ll touch on in this chat. I was able to meet up with him while he was in town for an in-person interview, and he dropped tonsssssss of wisdom.